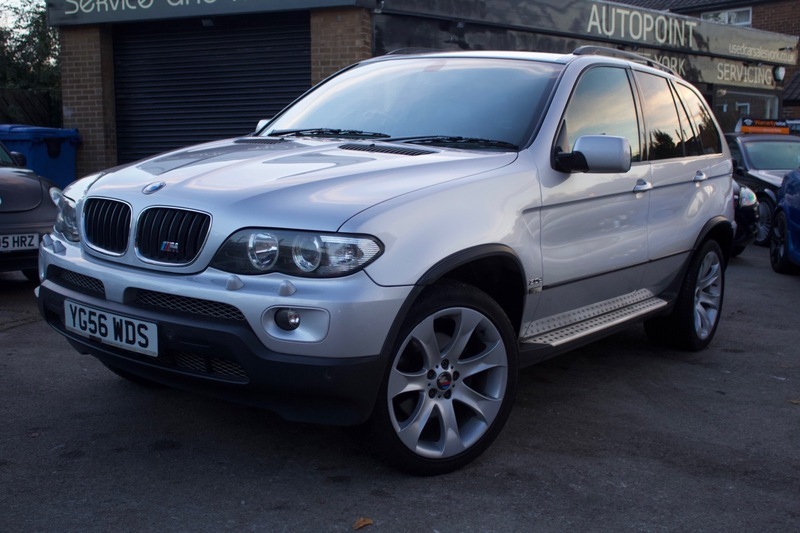 Here is our BMW X5 Sport 3.0d Automatic, finished in Silver with Black leather. The car is absolutely loaded with extras, has a full service history to milage and only 3 registered keepers. The car comes with Climate Control, Sat Navigation, Front and Rear Parking Sensors, Bluetooth, Electric Seats, Detachable Tow Bar, Television, Spare Wheel, Electric Folding Mirrors, Side Steps, Electric Windows, Cruise Control, Privacy Glass, Dog Cage, Automatic Rain Sensor, Automatic Headlights Steering Wheel Controls and M Sport Alloys. The car comes with MOT, 12 months Service, Warranty, Free AA Cover for a year and Pre Delivery Inspection Report.